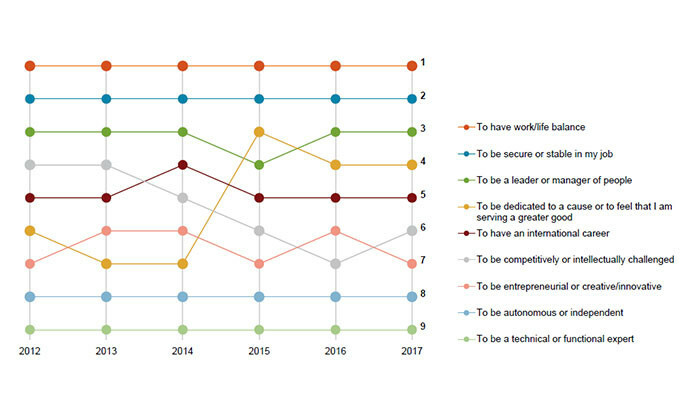 Google retains the top spot as the most ideal employer in Singapore, according to the Singapore Top 100 IDEAL Employers student survey released today by Universum. 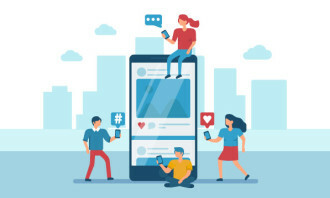 The survey tracks the career aspirations and preferences of Singapore’s future talent pool by collecting feedback from more than 8,800 participating students from Singapore’s four universities – SMU, SIM, NTU and NUS. This year, business students and engineering students chose Google as the most ideal employer. When asked about their most important career goal upon graduation, approximately two thirds of students (66.2% business students and 67.7% engineering students) consider having work-life balance as one of their top priorities upon graduation, followed by the desire to be secure in their job (54.65% and 54.28% respectively). As for the third priority, while more than a third (31.2%) of business students aspire to be a leader of people, close to four in 10 (39.9%) engineering students find being dedicated to a cause or feeling as though they are serving a greater good, to be their third most important priority. ALSO READ: Is there a pool of talent you’re not tapping on? 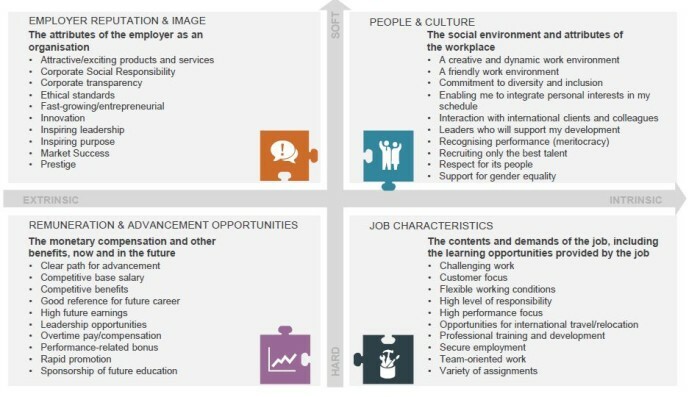 The report finds that the future talent pool in Singapore look out for four main characteristics when choosing their employers- employer reputation and image, people and culture, remuneration and advancement opportunities, and job characteristics. Top among the people and culture attributes is a friendly work environment. 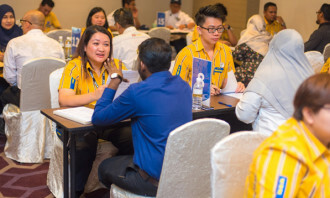 This continues to hammer home the message that to truly be one of the most desired employers in Singapore, an employer needs to consider their working culture and how they are perceived, internally and externally. Stark differences can be observed in the industries that the different genders are most attracted to. While a quarter of all males surveyed select banking (23.7%), less than two in 10 females (17.5%) select it as their top career choice. Likewise, while a quarter of females choose the arts, entertainment and recreation industry (25%), only 10.8% of males opted for the creative industry. Digger deeper, different employer associations between the industries could be a factor for this disparity. Although banks are not highly associated to work-life balance, they score strongly for pay and status. 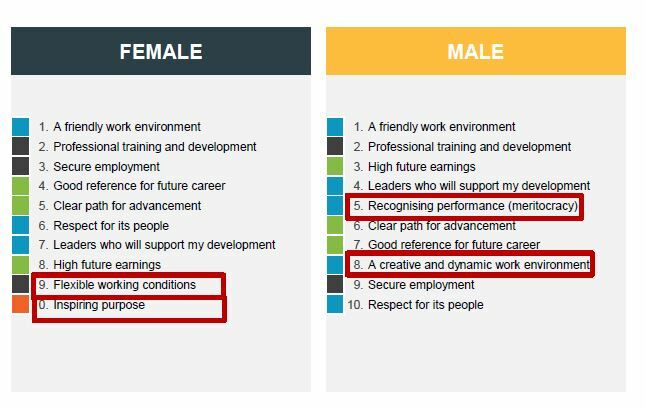 This set of perceptions could make the industry more attractive to male talent, for whom high future earnings are the third most important career priority. Females, on the other hand, prefer jobs that are more secure and stable over high salary prospects. Thus, this explains their preference for the public sector and governmental agencies. 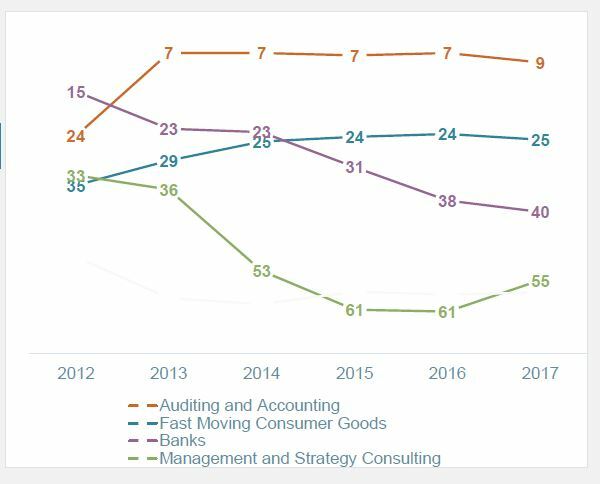 Even though many business students selecting banking as their preferred industry, they tend not to select banks as their most ideal employers. This indicates that banks have yet to provide the sorts of employment experiences that local talent seeks. The average ranks of the banks in the survey has dropped from 23rd in 2014 to 40th in 2017. In addition to being highly unattractive to females, the banking industry is going through a tough period with respect to talent attraction, the reports finds. This year’s survey showed a decrease in average expected annual salary for males and females combined, a drop from $40,551 to $39,300. Interestingly, the fall in expectations was higher among males than females. While males ($41,294) still expect to be paid more than females ($38,444) upon graduation, the gap between the genders is getting smaller. This marks a step in the right direction for gender equality in Singapore with regards to pay. Here is your weekly summary on how toxic employees ruin their career and in some cases the organisation they work for. .. If you have thick skin, saint-like patience and an aversion to bolloxology, the assistant to the CEO role at Ryanair is perfect fo..